Any of you who have followed me for a while know that I’m a pantser when I write. I just start in and let the story take me where it will with only a vague idea of where its going, what will happen, and how it will end. And for the most part this has worked for me. But, it also makes writing a book painfully slow because I’m often caught by the “What Is Suppose to Happen Next” monster. This often creates a hurdle that is too high to jump over. Instead it must be climbed over, often in a slow and agonizing crawl that can result in weeks of non-writing while I work to make it over. Those of you who have been following this blog for a while know that I have a rather uncomfortable relationship with the concept of genre. On the one hand, I really, really don’t like it, on the other hand, I absolutely hate it. Genre has always struck me as the lowest sort of pseudo-intellectual caste system, a hierarchy based on superficial characteristics. It shoehorns stories into stereotypical circles. If you write a Science Fiction story, then you must write about Science Fiction characters doing Science Fiction things in a Science Fiction world. It’s a one-dimensional systematization driven by a marketing paradigm that internet shopping has made obsolete. After publishing my debut novel, Ice, I felt the need to tell the entire story of Minterville and its most important characters. Currently, Ice is the only published title, but there will be more to come. Specifically, the sequel, Shivers is in the planning stages and scheduled for publication next year. About Ice: In Minterville, Georgia, the residents live in relative seclusion, partly to keep crime out of their small, tranquil community, and partly to prevent the world from finding out about The Minter, a form of telepathy that interconnects them and gives them a sense of unity. Who cares about your characters? At the Writer’s Digest 2015 Annual Conference in New York City, Talcott Notch Literary Services President and Executive Editor Gina Panettieri spoke about developing compelling characters. Here are my notes from her talk. You’ve heard it before, right? There are no small parts. And it turns out this applies as much to your book as to the theatre. Any character in your story should be there for only one reason: to move the plot forward. So make them meaty, have them influence the story. But the main character, of course, is the protagonist. How do you make your protagonist authentic and compelling, somebody your reader wants to spend time with? Age: Recommended for ages 16 and up due to violence and occasional profanity. No sexual content. The 11th Percent is a fast-paced fantasy/action novel by T.H. Morris. The title is based on the theory that most people only use ten percent of their brain power, but Morris suggests that there is a subset of the population with an extra one percent. These so-called Eleventh Percenters have a high level of creativity but are plagued with self-doubt, experience emotions more strongly, and can communicate with spirits. The author admits she’s been a Roman ‘nut’ since the age of 11. She served in the military in a special communications regiment in one of those jobs where you don’t talk about what you do, see, or hear. There are numerous places in Inceptio to cheer for the good guys, to celebrate Carina’s successes. You won’t believe the obstacles the author has created for her main character. Get ready for a rollercoaster ride and hold on to your hat! Cover Reveal: Sol of the Coliseum by Adam Gaylord! 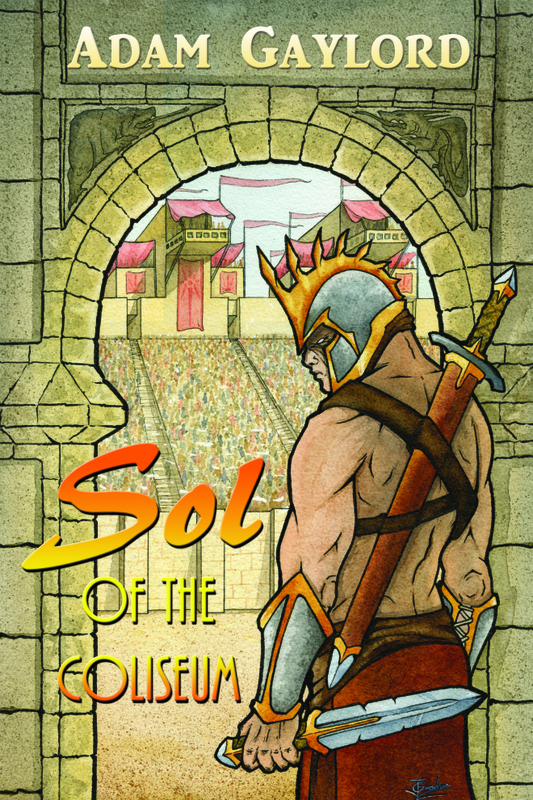 Sol of the Coliseum by Adam Gaylord launches September 17th! Meet Sol, a slave turned Gladiator and the heart of the Astrolian Empire’s great Coliseum! 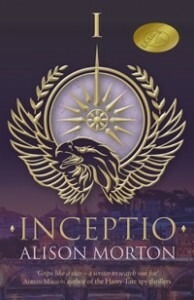 This first novel by Adam Gaylord is an action-packed fantasy adventure you won’t want to miss. The Father of Sword & Soul and an Elated Author talk Steamfunk, Sword & Soul and Racism in Role-Playing: Charles Saunders Interviews Balogun! The Father of Sword & Soul and an Elated Author talk Sword & Soul, Steamfunk and Racism in Role-Playing: Charles Saunders Interviews Balogun! Recently, I had the honor of being interviewed by one of my idols – Charles R. Saunders – the father of Sword and Soul and creator of the Imaro and Dossouye series of novels, as well as the incredible Pulp novel, Damballa. The interview – along with other awesome blog posts, interviews, book reviews and other Blacknificence – was originally posted on Charles’ website at http://www.charlessaunderswriter.com/. Balogun Ojetade is the Master Instructor and Technical Director of the Afrikan Martial Arts Institute, a school that teaches indigenous, West African martial arts. Born and raised in Chicago, he was educated at Howard University in Washington, D.C., and Columbia College in Chicago.